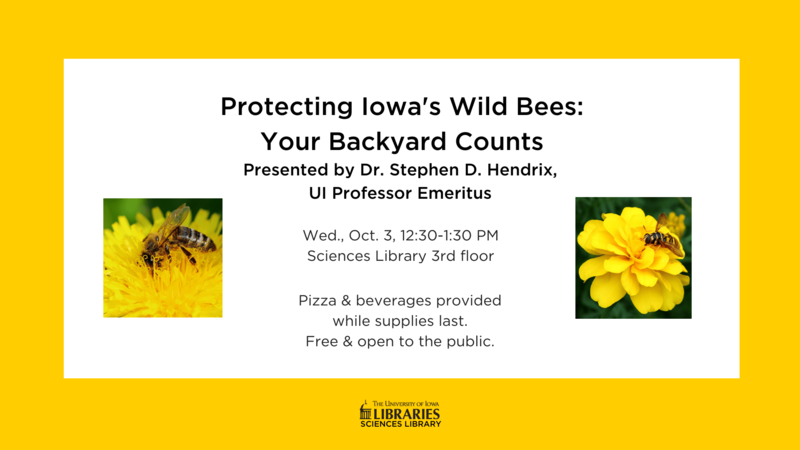 Join us at the Sciences Library for “Protecting Iowa’s Wild Bees: Your Backyard Counts” presented by Dr. Stephen D. Hendrix, UI Professor Emeritus. Pizza & beverages provided while supplies last. Free & open to the public. Individuals with disabilities are encouraged to attend all University of Iowa-sponsored events. If you are a person with a disability who requires a reasonable accommodation in order to participate in this program, please contact Laurie Neuerburg in advance at 319-467-0216. The following workshops are open to all students, faculty, and staff. There is no need to register in advance. Use the Cite While You Write plugin for Microsoft Word to insert citations into your papers and format them into thousands of different styles. EndNote Web is available for free to all members of the University of Iowa community. 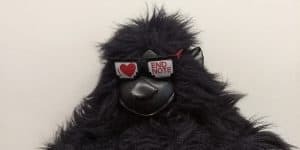 EndNote Desktop is available for free to all UI graduate students, faculty, and staff. If you’re interested, but unable to attend these workshops, private appointments and webinars can be arranged. If you have any questions or if you’d like to request a workshop for your class or group, please contact Laurie Neuerburg (319-467-0216 or laurie-neuerburg@uiowa.edu) for more information. 10. You can connect with us on Facebook and Twitter! 9. 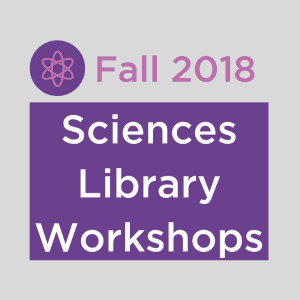 You can email, call, or schedule an appointment with one of our librarians (Laurie Neuerburg or Leo Clougherty) if you need help finding books, articles, or anything else for your research. 8. 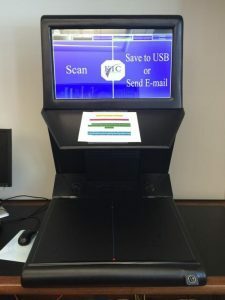 You can use our scanner on the 1st floor for free. 7. 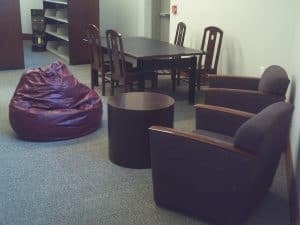 You can take a rest and study comfortably using our bean bag chairs, tables, armchairs, and carrels. 6. It’s easy to visit us from downtown–you will find us on Iowa Ave across from Joe’s Place. 5. Our mascot is a gorilla named Chauncey. 4. We can help you find datasets online and properly manage your own research data. 3. Our building was designed to be an anatomical theater for medical students and so the back of the building has a semicircular shape! 2. 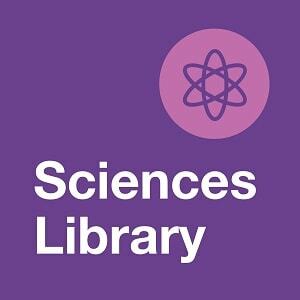 You can use our subject guides to find the best resources for your research in astronomy, biology, chemistry, environmental science, physics, and more. 1. 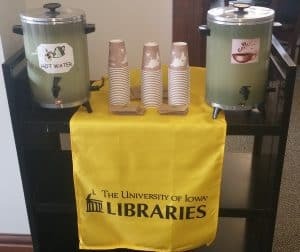 We provide free coffee and tea! 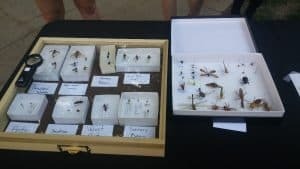 Beekeeping 101 Event is the Bee’s Knees! 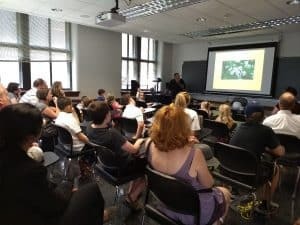 There was a lively “hive” of people at the Sciences Library for Beekeeping 101! We heard an informative talk about bees and beekeeping from Jim Davis. Then we made a bee-line for the courtyard to take a closer look at bees and how they compare with other insects. 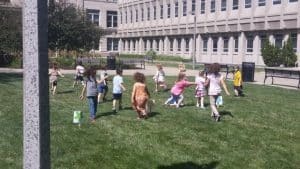 Finally, some of us acted out the waggle dance of the honey bee! 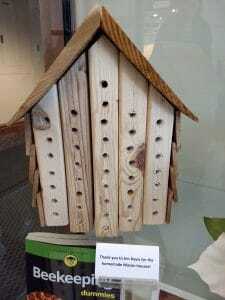 A huge thanks to Jim Davis of the East Central Iowa Beekeepers Association and the Iowa City Science Booster Club for making this an enjoyable and educational day for everyone! 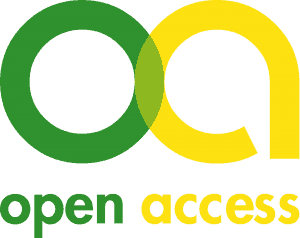 For several years, UI Libraries has maintained an Open Access (OA) Fund to help researchers pay for the article processing charges (APCs) on open access publications. This fund supports authors choosing to make their publications open for anyone to read, broadening their audience and providing wide access to important research. We have decided to sunset the OA Fund for APCs within two years due to budget constraints. We found that the fund did nothing to offset our rapidly increasing journal subscription costs. In fact, the fund largely supports the same publishers to which we pay our pricey subscriptions. Given this reality, the final year that funding will be available is 2020, and the amount of funding for 2019 has been reduced from $3,000 per article to $2,000 per article. Additionally, each author will only be eligible to receive funding from the OA fund one time per fiscal year in 2019. Articles must have been accepted into a high quality, peer-reviewed, open access journal with ethical standards. 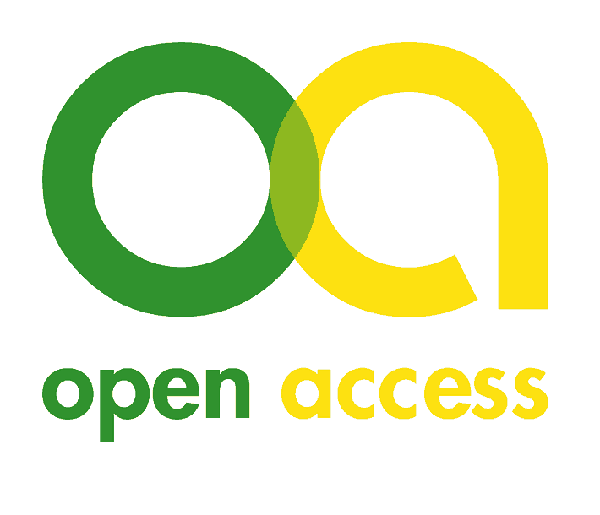 Though the OA Fund will be sunsetted, there are other options to support open access publishing. Authors can take advantage of green OA through the Iowa Repository Online (IRO) or pre-print and post-print repositories. Additionally, authors might be able to find grants or ask their departments to fund APCs. In the meantime, the UI Libraries will be exploring sustainable models to fund open access publishing in the future. If you have specific questions, feel free to reach out to Mahrya Burnett, Scholarly Communications Librarian, mahrya-burnett@uiowa.edu or 319-335-5937. 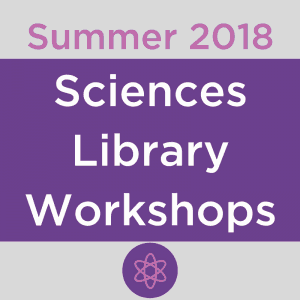 Join us for Beekeeping 101 at the Sciences Library for an all-ages beekeeping talk and activities on Tuesday, July 31, 2-4 pm! Hunt bumble bee (Bombus huntii) from from the USGS Bee Inventory and Monitoring Lab’s Photostream. 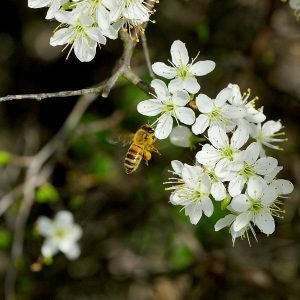 2-3 PM (Sciences Library room 102): Jim Davis of the East Central Iowa Beekeepers will give a talk on the management of bees, why bees are important, and what you can do to help all bees. 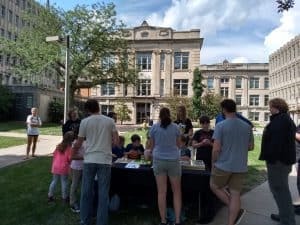 2-4 PM (Sciences Library courtyard): The Iowa City Science Booster Club will lead activities for learning about bee diversity and the bee waggle dance. Use BioCyc to research metabolic pathways and genome databases. Find articles in BIOSIS Citation Index using advanced searching, combinations of searches, and alerts. Identify the most important biological research articles on your topics of interest using Faculty of 1000 (F1000). If you’re interested, but unable to attend these workshops, private appointments and webinars can be arranged. 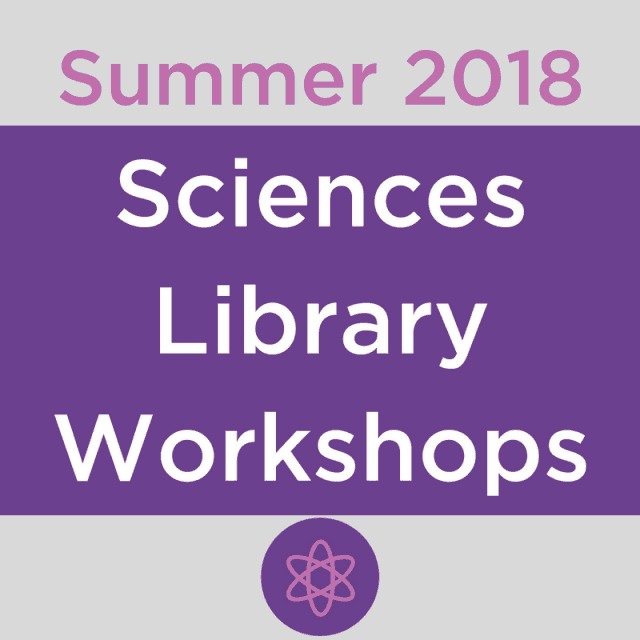 If you have any questions or if you’d like to request a workshop for your class or group, please contact Laurie Neuerburg or Sara Scheib for more information. 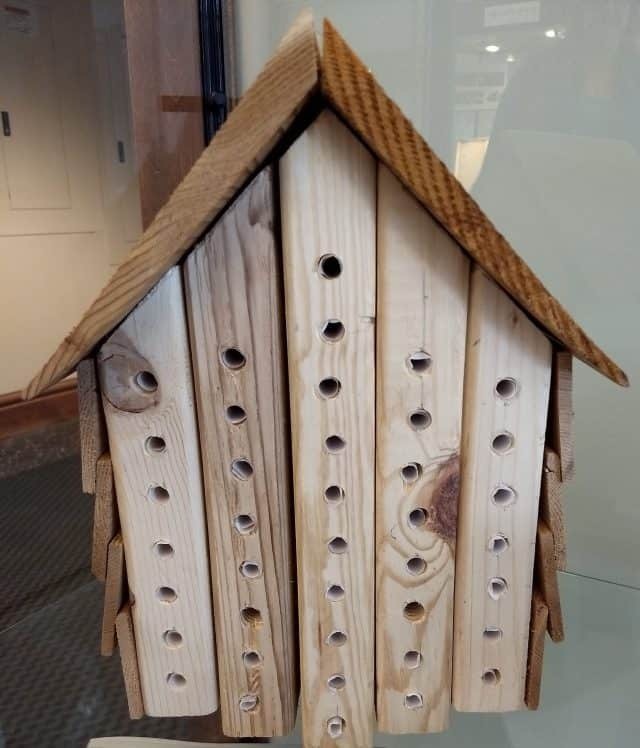 Swing by the Sciences Library to see our new exhibit, Beekeeping 101! It features a real honeycomb, wooden bee houses, smoker can, and protective suit. 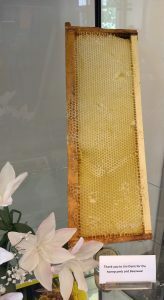 The exhibit includes resources for learning more about beekeeping as well as bee conservation. Thank you to Jim Davis and Jeremy Richardson for sharing their beekeeping supplies with us! 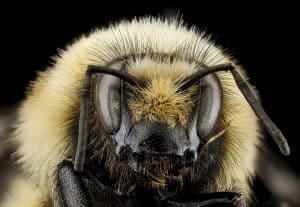 Summertime is watermelon season, and while you bite into that juicy watermelon, do you stop and think about the bees that made the existence of the melon possible for you? Whether bees are part of a managed colony or wild bees, whether they are honey bees, bumble bees, or mason bees, they spend their days pollinating the fruits, vegetables, and flowers that you enjoy! A rusty patched bumble bee from the USGS Bee Inventory and Monitoring Lab’s Photostream. 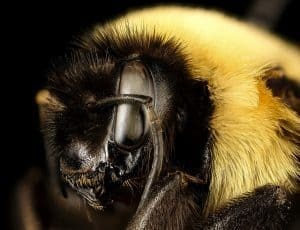 Bee populations have been on the decline in recent years, and the rusty patched bumble bee is an endangered species in the Midwest. 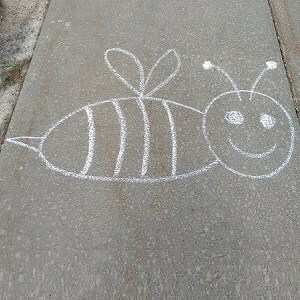 Luckily, there are simple and easy ways that you can roll a welcome mat out for bees where you live. 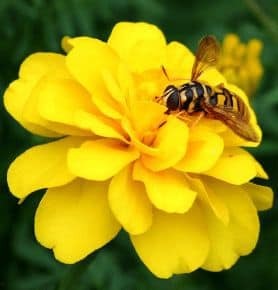 You can cultivate native pollinator plants, reduce your use of pesticides, and if you are really feeling the buzz, use this identification guide Bumble Bees of the Eastern United States to participate as a citizen scientist in Bumble Bee Watch.